RoomSmart’s Studio Dining Set allows you to create a breakfast nook in the kitchen, a place for cocktails or snacks, or a dining set for your retirement condo or just-starting-out studio apartment. The chic, contemporary style adds a fresh look to any room, and includes a round white table with two white bar stools. 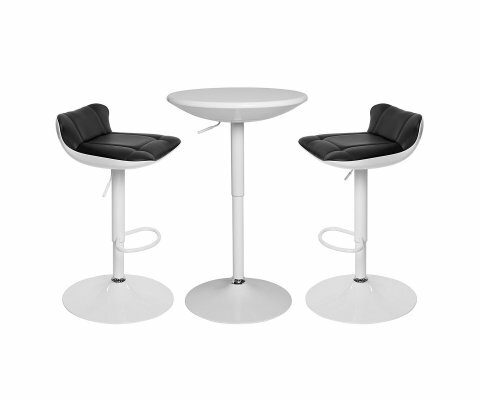 The stools have cushioned black seats and comfortable padded matching backrests. The dramatic black & white combination adds a visual pop of color that will blend with both brights and pastels, as well as metallics and prints, so it’s easy to coordinate the set into your decor style and color scheme. 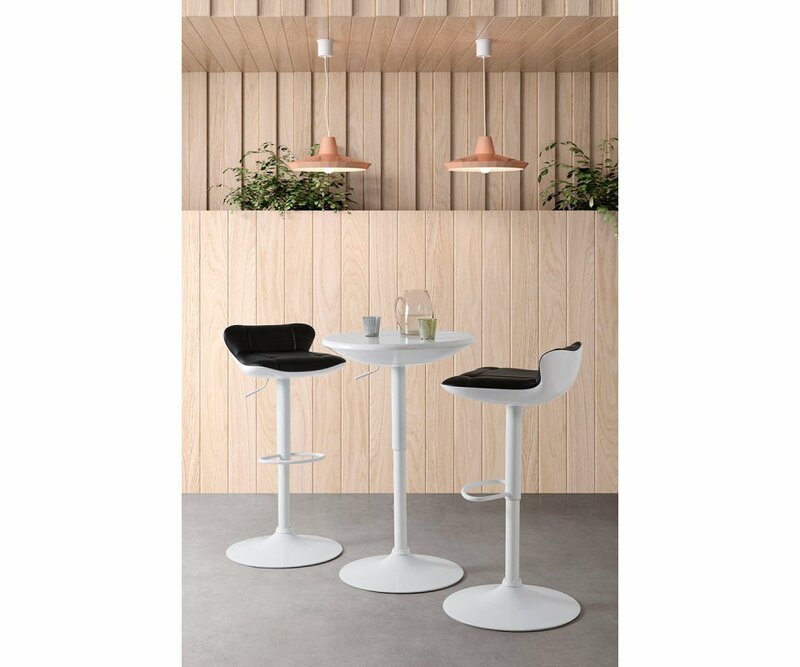 Each piece has a wide, round base, making the table sturdy and the stools safe and secure for sitting without tipping or wobbling. 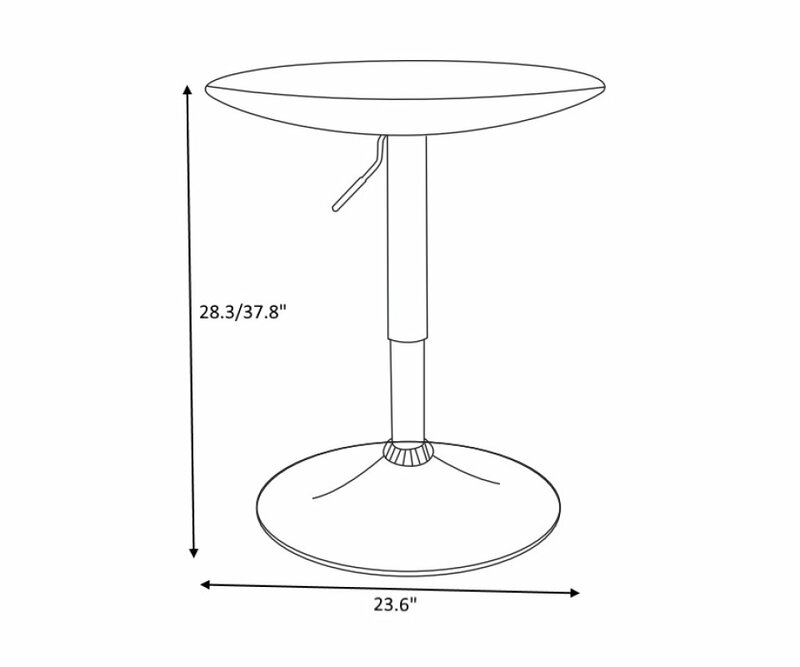 The ability to adjust the height of the set is a handy feature that allows you to set your table and stools anywhere from 28.3” to 37.8” in height, perfect for creating a child’s table or an adult cocktail table. 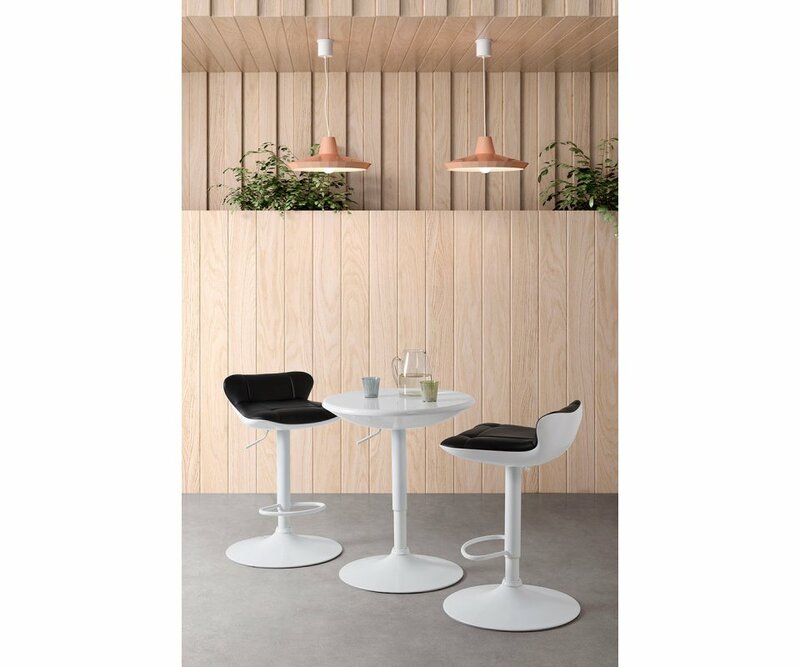 Add chic style, a bright, fresh look, and convenient function to your home with the Studio Dining Set!